In this episode Brett and Jeff tackle the topic of PURPOSE and what it really means. Today Brett and Jeff talk about the most simplest yet MOST VALUABLE advice that Jeff has ever been given. Take a listen and see how this SIMPLE piece of advice can change your business and life forever. The first 3 minutes of this episode is filled with comical relief and a special guest that pops out of nowhere. 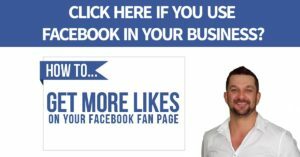 If YOU have a Facebook fan page for your business, then you will want to listen to this episode with Brett and Jesse Doubek from Fan Page Traffic Academy. Together Brett and Jesse have spent MILLIONS on Facebook advertising. In this episode they take a deep dive into the world of FB adverting and so much more. Ever find your self playing a real life game of stuck in the mud? But unfortunately there is know one around to save you? Then this episode has got you covered. In today’s episode Brett interview his good friend and host of the EXTREMELY popular podcast “The Solopreneur Hour” Michael O’neal. With his show reaching over 5.5 million downloads to date Michael has quickly become a podcasting force to be reckoned with. How to BRAND yourself and build a MASSIVE following and so much more. In this episode Brett and Jeff reveal where they have been for the last 6 weeks and why this is important. Brett also shares the story about his secret wedding in Las Vegas. In this episode Brett interviews online marketing expert James Schramko. This episode is literally jamb packed with audio goodness. Find out more about James by visiting his website: Super Fast Business. In this episode Brett interviews expert Robert Coorey. Robert is a #1 Best-selling author of Feed A Starving Crowd, Robert Coorey is a Reality TV Pilot Host and wildly successful marketer. Recently listed by Startup Australia as one of Australia’s Top 50 Entrepreneurs. He’s built a super-responsive global online community of serious business owners, almost broke the world record for most number of people in a webinar, filled up dozens of live events, been featured extensively in the media, launched three best-selling books and signed a Reality TV show deal with Hollywood. Get a FREE copy of Roberts Book here.